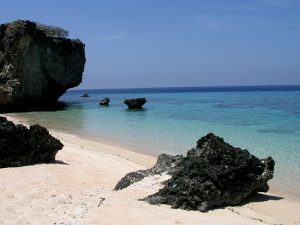 Southeast Asia is home to attractive countries such as Timor-Leste. A destination of incredible wealth, East Timor grants you the chance to relax in peaceful surroundings. The pristine beaches of Jaco with their crystal clear waters and white sands are ideal for doing so. If you enjoy scuba diving, East Timor proves a good location. Among other wonders, it is also recommended to visit the accessible Mount Tata Mai, known for its stunning hiking routes. Ensure that you do not miss the capital Dili – a historic center offering exceptional heritage inherited from the Portuguese passages. Last Updated: October 31, 2018 9:43 ESTThe Health tab was updated - travel health information (Public Health Agency of Canada). Medical centers are scare in East Timor, particularly in areas outside of the capital, Dili. If you need to be hospitalized, go to Guido Valdares National Hospital. Although both pharmacies and hospitals offer good medicines, it is always important to plan ahead before visiting a foreign country. Therefore, bringing a first aid kit containing your usual medications is essential. In the event of a medical emergency, dial 115 for assistance. Emergency facilities provide adequate care in Timor-Leste, yet more serious diseases or accidents will require medical evacuation to another country. Is Timor-Leste (East Timor) Safe for Travel? Do I Need a Visa to Visit Timor-Leste (East Timor)? Both, a visa and a passport are required to enter Timor-Leste (East Timor). Your passport must be valid for at least six months beyond the date of departure. Once arrived at the capital, Dili, the fee required for your visa will depend on the length of your stay. Please note that this is the Australian Embassy located in Timor-Leste (East Timor). Support can be provided to Canadians from this Embassy. Please note that this is the website for the Canadian Embassy in Indonesia.